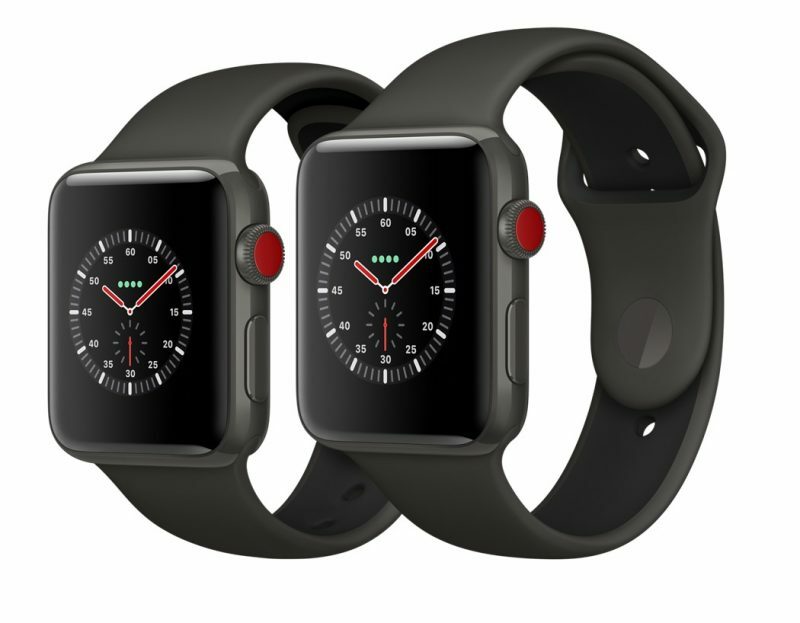 Apple today said that the Apple Watch saw its best quarter ever in Q1 2018, with the new Series 3 models selling at twice the volume of the Series 2 models last year. Apple Watch saw a 50% growth in units and revenue for the fourth consecutive quarter. When combined with sales of Beats headphones and AirPods, total revenue from wearables was up almost 70 percent year-over-year. Apple's "Other" category, which includes Apple TV, Apple Watch, Beats, iPod, and Apple-branded and third-party accessories, was the major contributor to the company's revenue, bringing in $5.5 billion. Apple says wearables, including the Apple Watch, the AirPods, and Beats, were the second largest contributor to revenue growth after the iPhone. Last year, in Q1 2017, Apple's "Other" category was responsible for $4 billion in revenue, so overall revenue from that category was up $1.5 billion. LTE was a big enough change to entice people to buy. If everyone understood the difference in battery life compared to the older models they would upgrade just for that. I knew it was better but I went from a good part of the day to pretty much two days battery life. I have no complaints. Must have had a series 0 like me. Battery lasts most of 1 day. Waiting for the next one to upgrade though as the watch just doesn’t do enough for me to justify spending that much on one every year or even every other. I won’t spend that much every year but as it ages I will absolutely upgrade. The Apple Watch Series 3 is, by far, my favorite Apple device yet. It’s so much of a time saver for me. All those little interactions during the day really add up. What’s the weather tomorrow morning? What is that message I just got? What is that email I just got? Is for work or personal? What was on my To Do list? Not to mention how the alarm can wake me up silently on my wrist without disturbing my wife at o’dark 30. Plus it’s waterproof up to 50m. And that’s not even scratching the surface of what it can do. I LOVE this piece of tech. Still nothing compared to what this thing will become in the next 5 years. If one company is positioned to revolutionize health care, that’s Apple. And they sure have the will and the resources to do so. And boy, will they patent it. I think the LTE version is also a big draw for runners. I know several of my friends bought AW3-LTE just to have an option of leaving your phone at home and not having to strap it to your arm or bouncing around in your pocket, being able to stream Apple Music, and never miss a call or text. They all swear by it and glad Apple did that with a LTE version. I get that battery performance on my Series 2... don't need a Series 3 for that. They would have sold at least one more if they didn’t have an exclusivity deal with EE. I’m still rocking the original Apple Watch and I’m desperate for a new one - it’s really flagging now. But I’m not switching back to EE to get one. I'd have gone from S2 to S3 but they lost me because they didn't do a non-LTE Stainless option. I have a Series 2 and I get two days. What’s to understand? Battery life has improved for the Series 3, partially because of the improved faster dual core processor. But we all know the battery life is completely subjective based on Settings, usage etc. Someone that might be getting two days of battery life may not have the same battery life as someone depending on how they're using their Apple Watch throughout the day. The Series 2 Apple Watch was a significant improvement in battery life over the first generation Apple Watch, but I would say battery life is comparable between the Series 2 and Series 3. Same. No LTE model here, but I’ve had it off the charger for 9.5 hours and I’m still at 80% My series 0 would be at 20% by now.